Before checking in to the Alpen Hotel in Valdidentro, Toerbeest made a stop in Mazzo di Valtellina, so Cyclopaat could climb the Mortirolo (profile). Besides, the Mortirolo offers more shady – tree covered – stretches than the Zoncolan, which makes a BIG difference under sunny conditions. And while the temperature at the foot was around 35 degrees Celsius, the temperature was actually dropping during his ascent, as opposed to rising when on the Zoncolan. C. started his ascent from a quiet spot just outside the town and he found a good pace quickly. Although he didn’t cycle for a couple of days – or maybe just because of that – he was feeling good and he progressed steadily. The stretch between 2.5 and 8.5 km is actually tough, but all in all this climb is easier than Zoncolan for sure, and not just by the numbers. The summit was as deserted as was the Zoncolan – I didn’t know then that there’s a tavern just a kilometer down towards Monno. I could have asked for directions there, but that descend is leading in the right direction anyway. 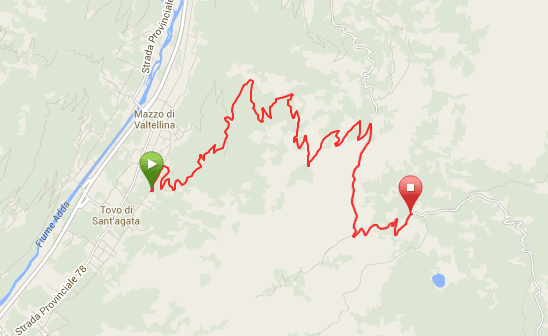 Instead, we turned around and descended towards Grosio, as that is the shortest route to Bormio. 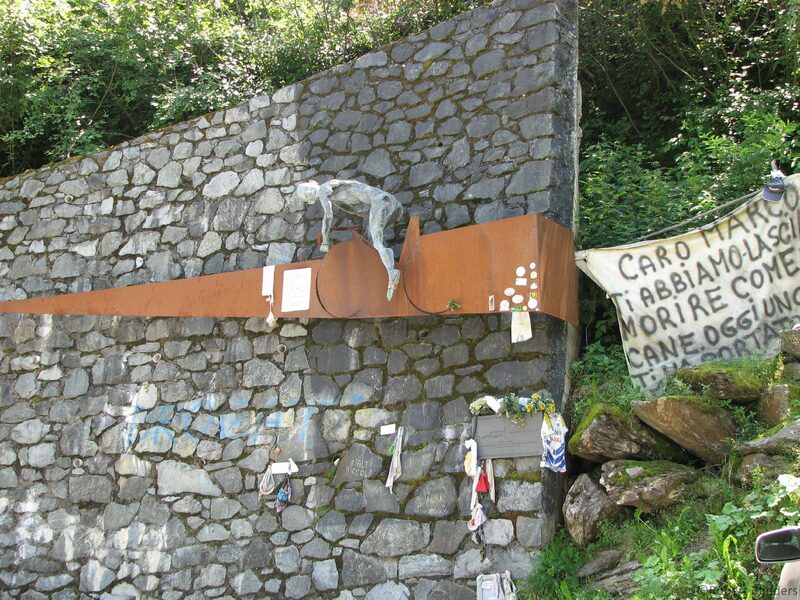 Report on 2015’s trip up the Mortirolo from Monno here.